Bringing extensive knowledge of the real estate market and the mortgage industry to her position as an accomplished and respected Realtor and previous mortgage lender, Nikita Todd-Stanley’s ability to advise clients allows her to offer them an outstanding level of service. Clients love that Todd-Stanley is very involved from beginning to end. They also appreciate that she is always protecting their best interests, as if each transaction were her own. This year, Todd-Stanley has hovered at $1 million in sales a month from both new and past clients. She is in the top 10 percent of agents at Keller Williams Realty Buckhead, as well as the Atlanta Board of Realtors top 10 percent of agents, based on units and volume. She has made four appearances on HGTV’s “House Hunters” and has a weekly segment, “Moving Properties Monday,” on the Michael & Friends morning radio show. Todd-Stanley has been selling real estate since 2005, working with all levels of buyers and sellers, including new and savvy investors, inside the perimeter of Atlanta, Smyrna, Alpharetta, Roswell, Milton, Southwest Atlanta, Fayette County and Henry County. “I’ve been able to balance my business with an equal number of buyers and sellers, and increase my price point by 25 percent,” she says. She also has been able to save clients money this year by coupling local market strategies with her savvy negotiation skills. Through her love of travel, she has “bridged the gap” with more international clientele. She markets properties through postcards, social media campaigns, prospecting and her network of investors. 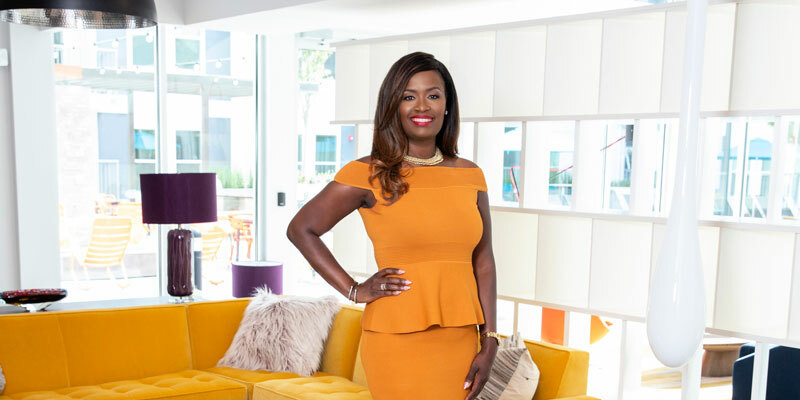 A member of the Atlanta Board of Realtors, National Black MBA Association of America and Delta Sigma Theta Sorority Inc., Todd-Stanley also has acquired credentials as a Short Sale Specialist and Certified Luxury Homes Specialist. The proud mother of two little girls, Nadia and Gabrielle, Todd-Stanley is a donor and active volunteer who leads programs for the Nicholas House, a family homeless shelter, and Summerhill Community after-school and summer programs.